This page is available for anyone to offer items for sale. If your sale is successful we do ask for a donation of 10% of the sale price to be sent to the Guild Secretary whose contact details are on the contact page. This lovely wheel is just four years old. There are a couple of cosmetic scratches on the pedals where the wheel folds up. Wheel spins well. There are four Majacraft bobbins plus one extra made locally. Owner not sure of make – has serial number on bottom. Could be a Herring or a Westbury. Double drive wheel needing a drive band. 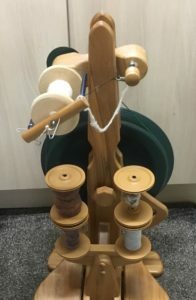 Comes with a set of carders and four bobbins in total. Buyer collects from east Somerset. Owner prepared to take offers. 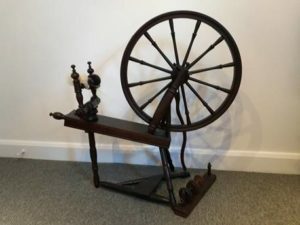 Double drive spinning wheel made by Geoff Cockram from Templeton, Tiverton. Owner unsure of make. Research suggests possibly a Dryad or made after Great War by ex-servicemen. 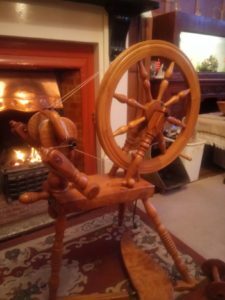 A double drive wheel with Lazy Kate and three bobbins in total, it has been checked and spins with a high twist. Buyer to collect from near Wincanton. 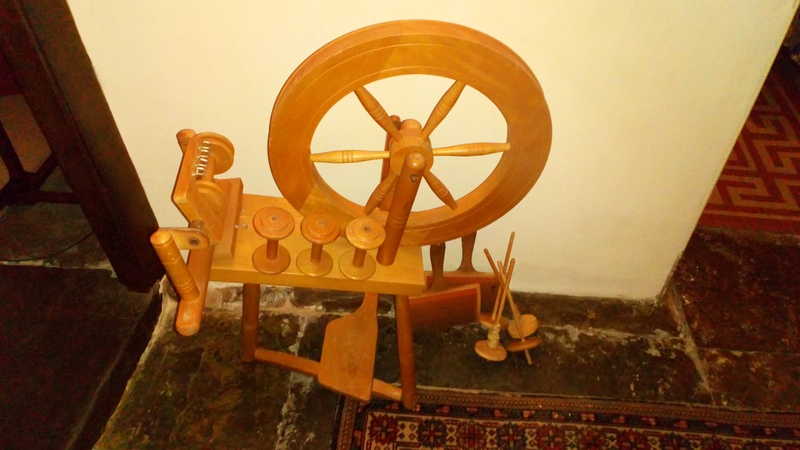 Copyright © 2013 Somerset Guild of Weavers, Spinners and Dyers. All rights reserved.